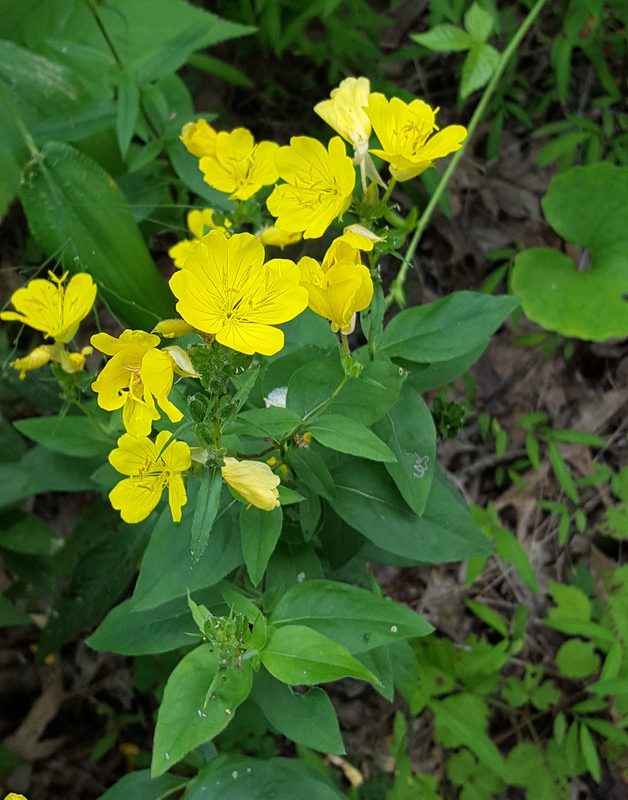 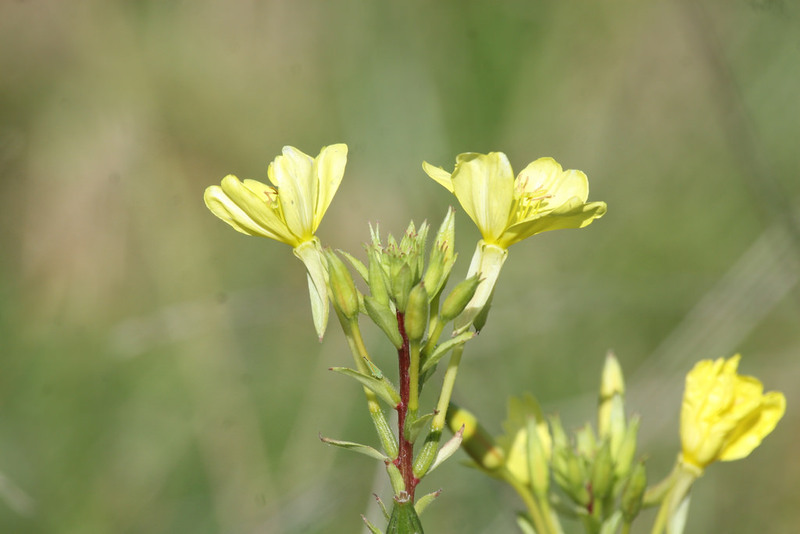 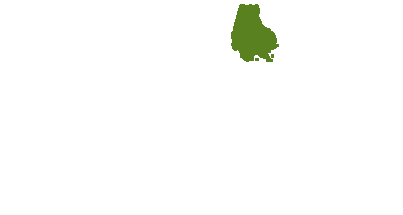 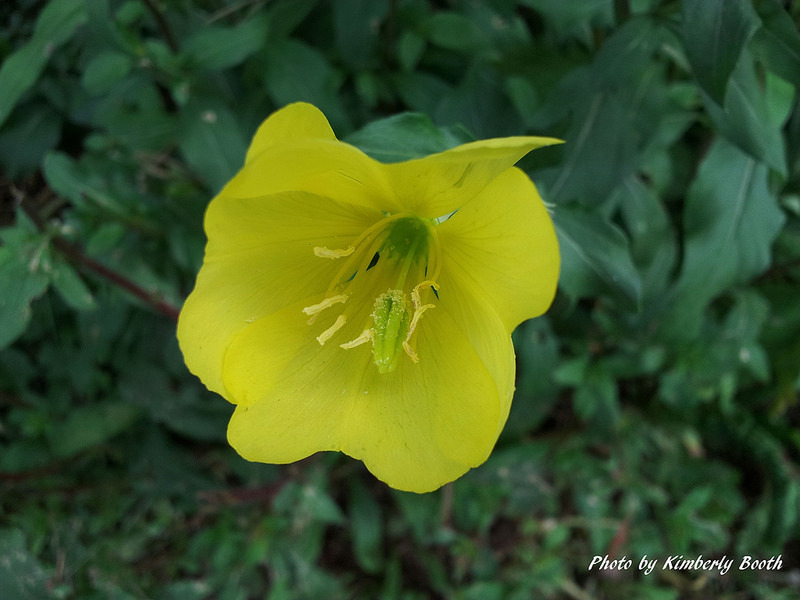 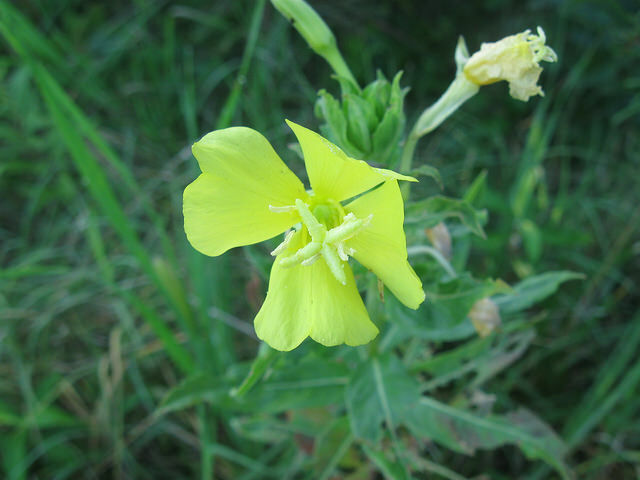 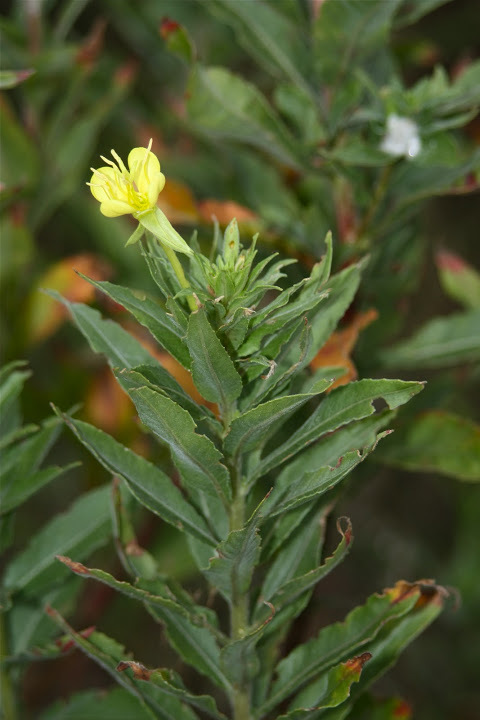 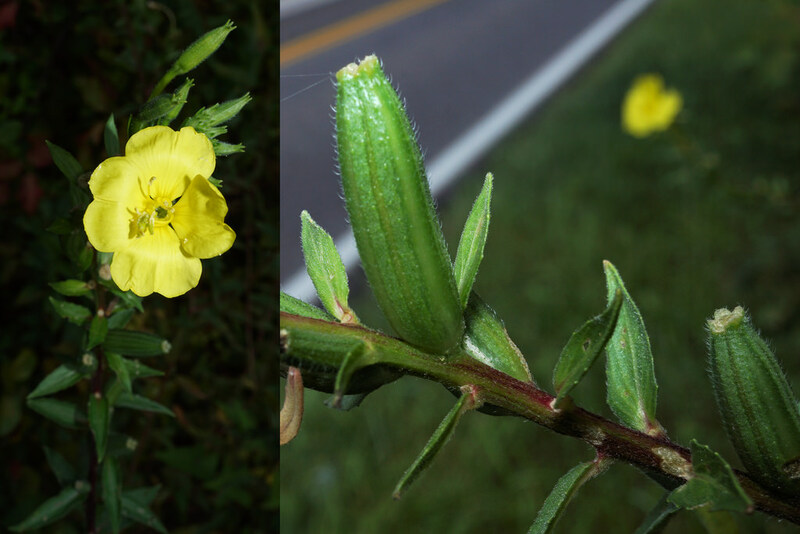 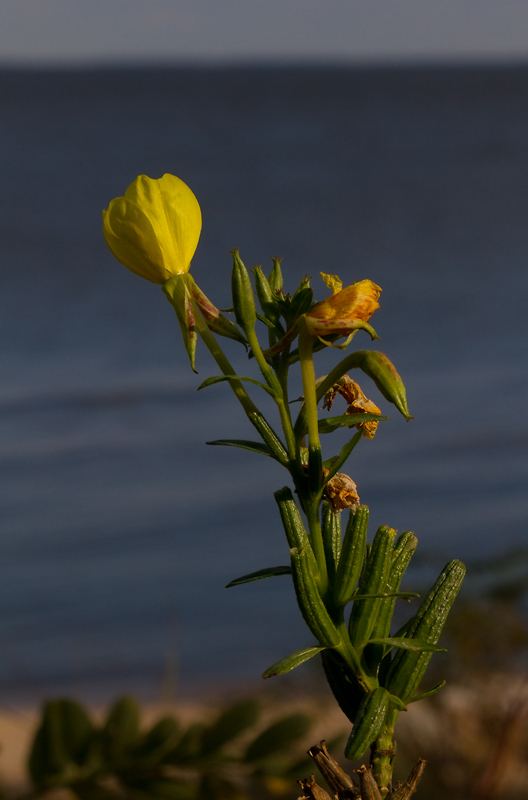 Common Evening Primrose Oenothera biennis Linnaeus Synonyms: Onagra biennis. 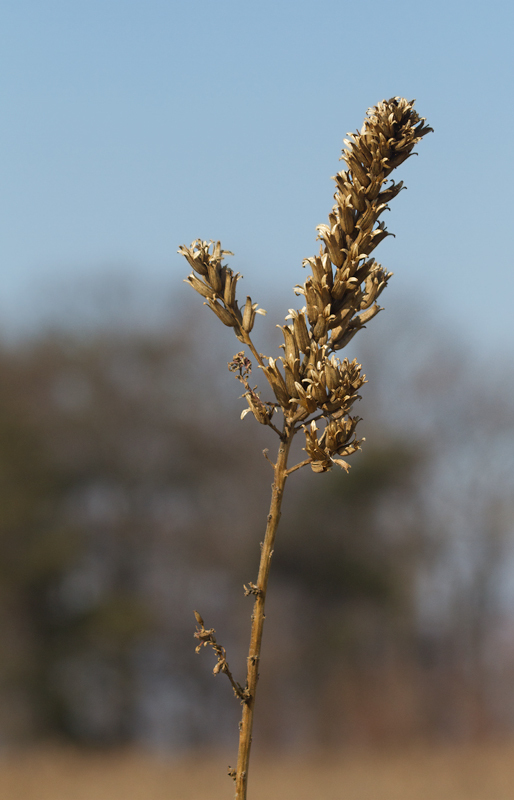 A common species of fields and roadsides. 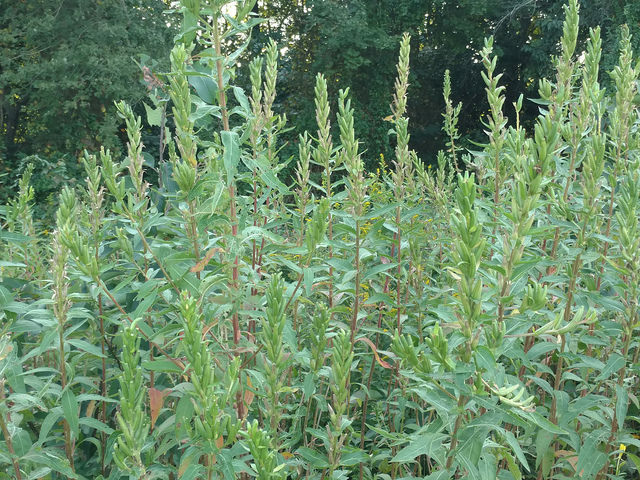 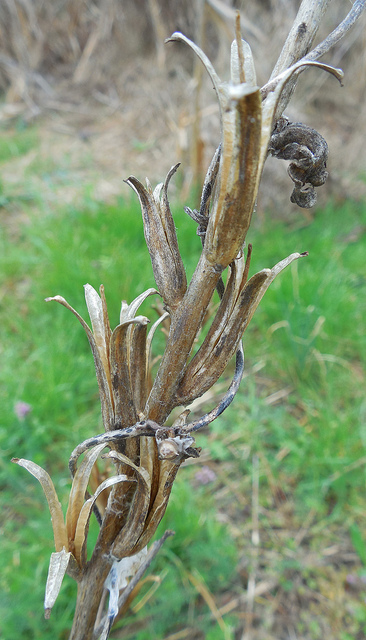 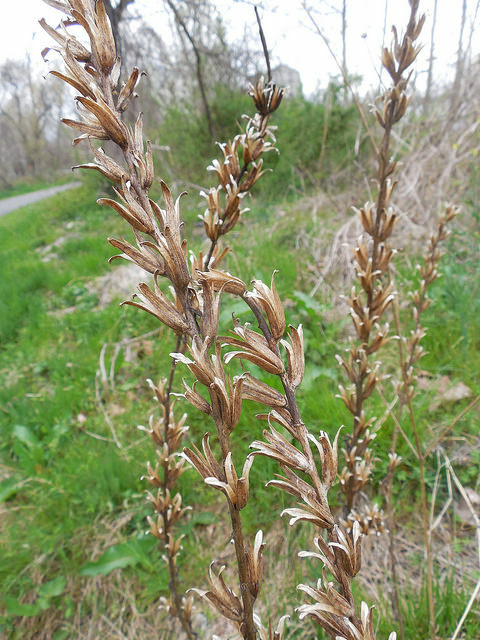 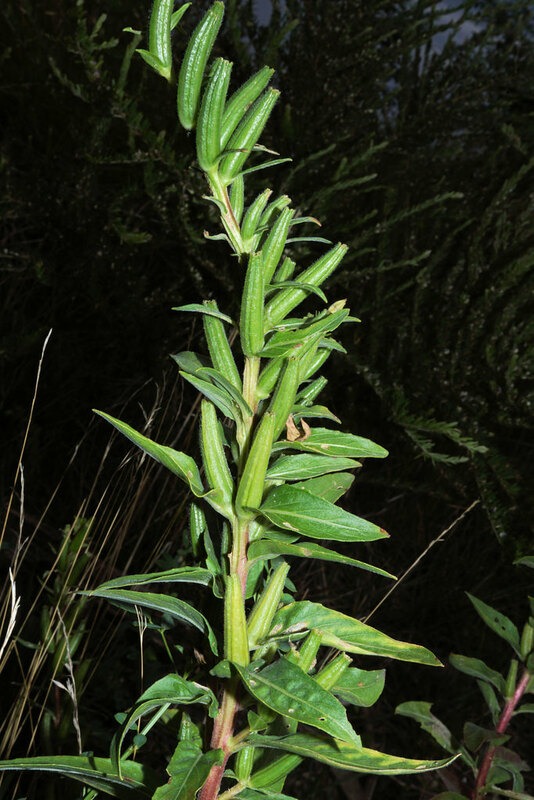 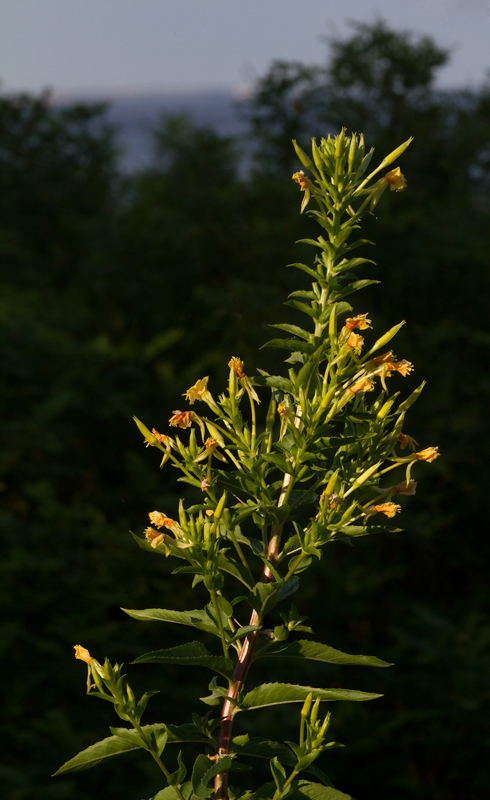 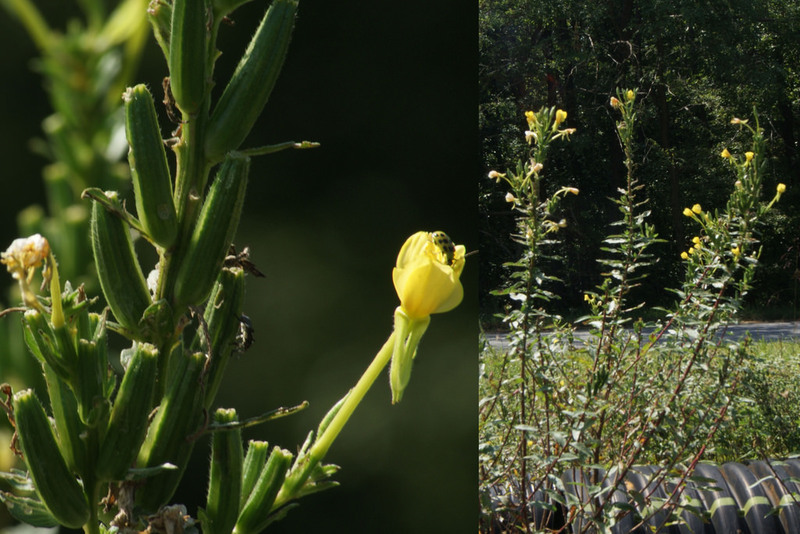 Along with details of leaves and flowers, very large size (up to 6' tall) appears to be diagnostic in our area. 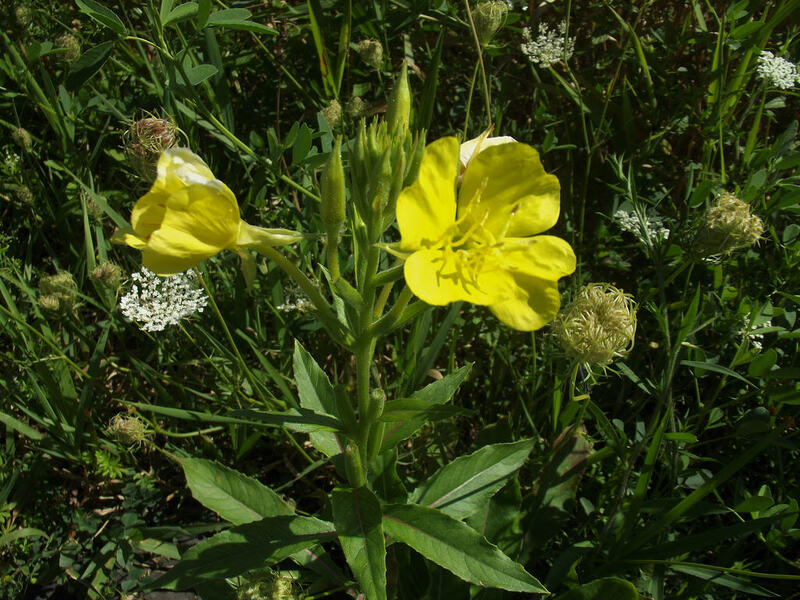 In general, evening-primroses open at night and are pollinated by moths. 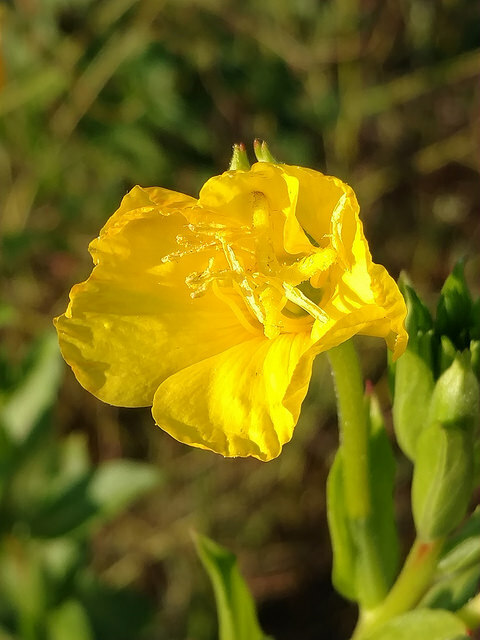 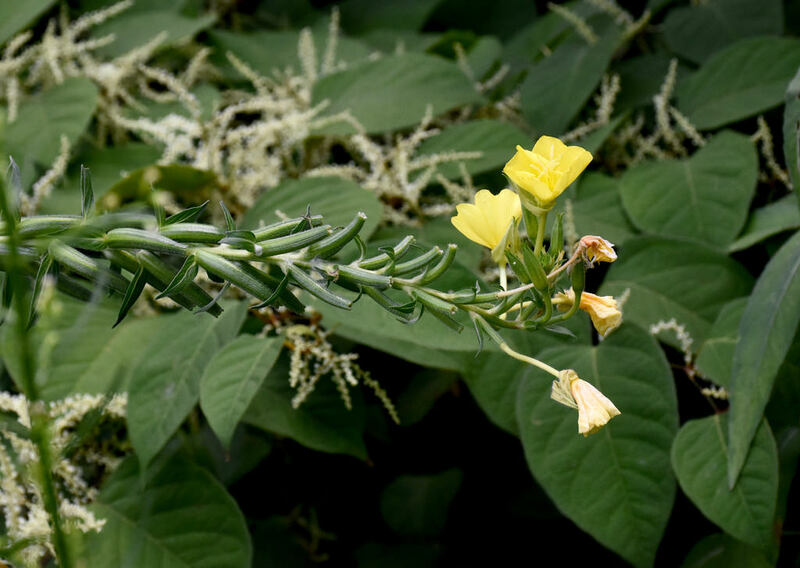 The exceptions in the genus, those open by day and pollinated by bees, are commonly referred to as sundrops. 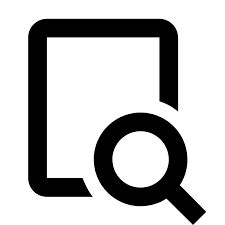 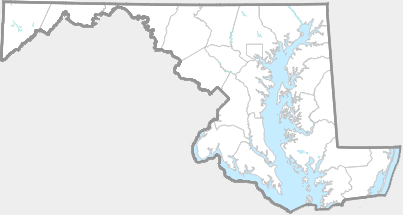 There are 271 records in the project database.